She's the daughter of a singer-turned-fashionista and a model. 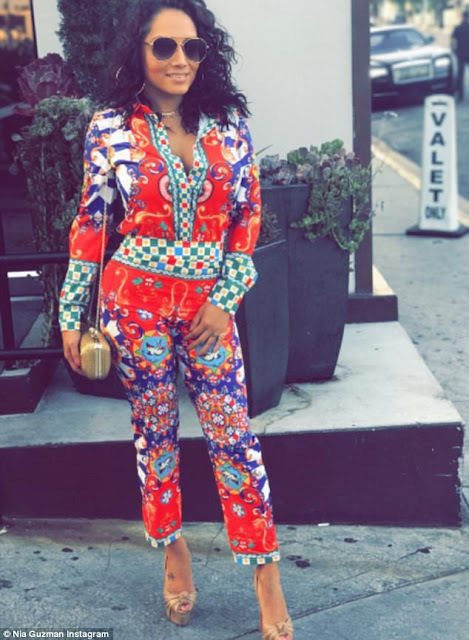 So it stands to reason that Royalty Brown - the child of Chris Brown and Nia Guzman - would have an interest in the world of clothing. But in a slightly obscure turn of events, the three-year-old has been granted her own clothing line. The tot is to be the face of new unisex fashion range, Royalty Brown Clothing, which she has supposedly 'helped to design with her mother'. According to TMZ, the range features 'monster graphics, two-pieces and cosmetics' - presumably appropriate for under fives. It's not clear precisely how Royalty 'helped to design' the line, given that she is merely a toddler, but Nia, 34, filed an International Class 25 trademark under Royalty's name, which includes clothing, footwear and headgear, in May. Whether Chris, 28, is involved in the design process is also unknown, although he has a vested interest in clothes labels as well. 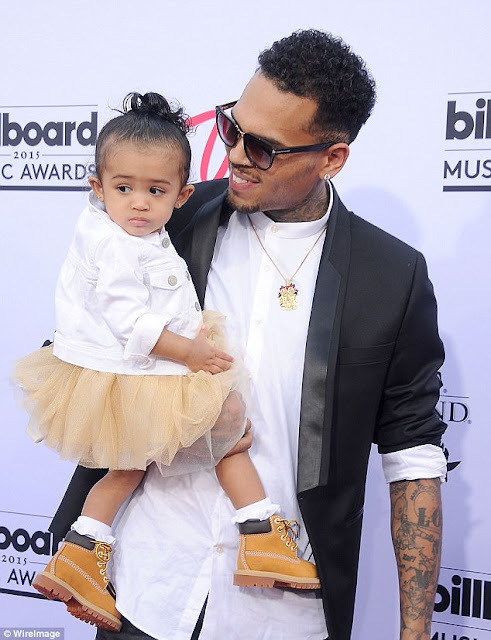 His and Nia's relationship is factious, with Nia trying to regain full custody of Royalty with only monitored visitation for Chris last year. A judge denied her demands, which also included stopping Chris' mother from seeing the little girl and for the Deuces singer to submit to a drugs test. 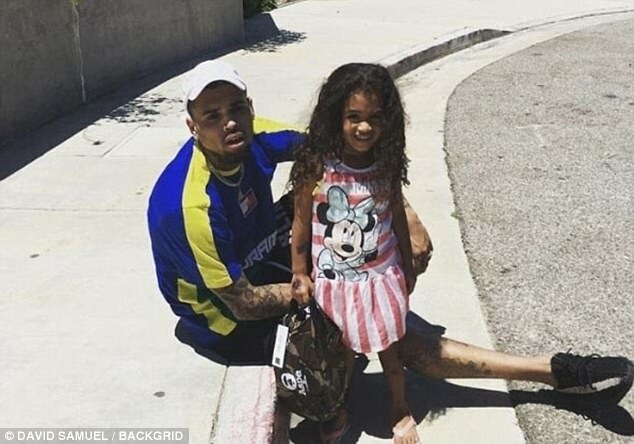 When Nia filed her legal bid asking for a change in the custody agreement, a judge ordered Chris to give her $20,000 to fund legal representation - but after having all her requests denied, the judge ruled she wasn't entitled to the money and needed to pay back her former partner. There was also supposed to be another hearing on child support, with Nia asking for her $2,500 payments to be increased to almost $16,000, but she requested the petition be dismissed. Chris previously blasted Nia after she claimed that Royalty developed asthma because he smoked excessively around her. In a now-deleted Instagram post from February 2016, he wrote: 'Absolutely untrue. I quit cigarettes on New Years. NO ONE smokes around my daughter. 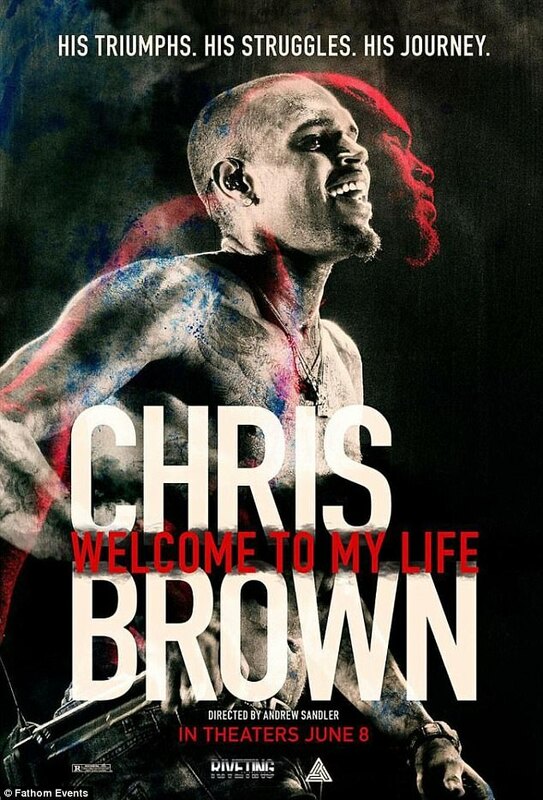 In June, Chris was joined by Royalty for the premiere of the documentary Chris Brown: Welcome To My Life in Los Angeles - which is a film about his life produced by Andrew Listermann of Riveting Entertainment. The documentary features Jamie Foxx, Jennifer Lopez, and Justin Bieber, and covers his music career to his relationships. 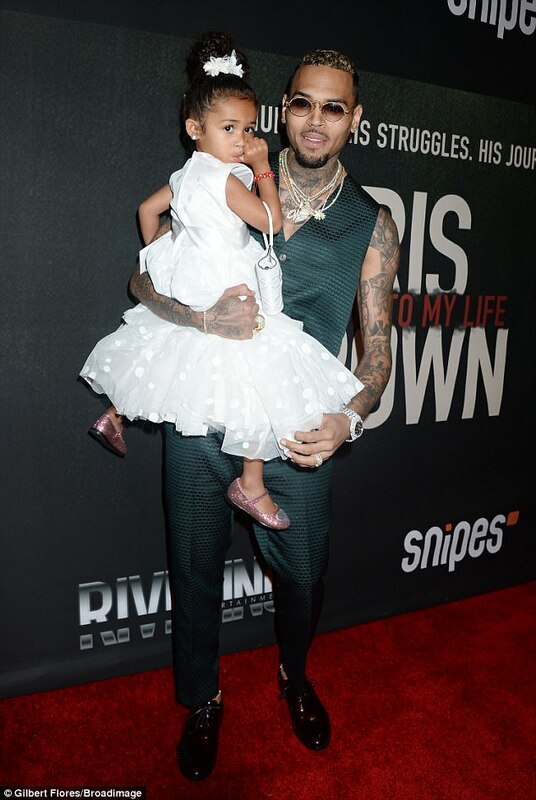 Speaking on the red carpet, Chris said of his child: 'She is my life. She’s a part of my life in all aspects. 'I thought music was at first but she’s number one, and then the music. Bringing her here, I wanted to show her that daddy is cool, I guess.' 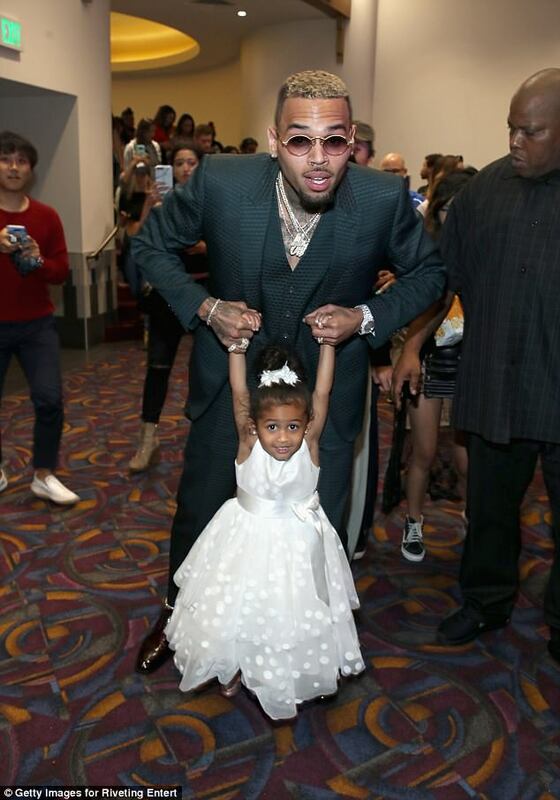 Chris was also joined by his mother, Joyce Hawkins, who proudly held onto her granddaughter as well, having not been legally banned from seeing her.